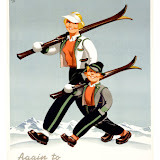 Austria holidays, Salzburg, Kaprun, Zell am See and so much more: Krampus, Christmas or New Year in Austria? 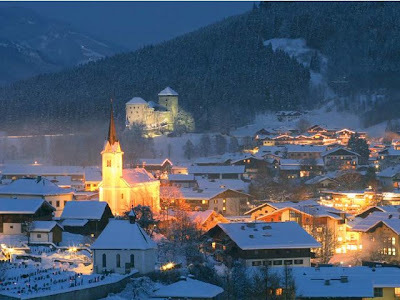 Austria is a great place to enjoy the Christmas and New year festivities. The snow adds to the atmosphere, the hot mulled wines, the Christmas markets, the Christmas Carol singing, traditional music, Christmas trees, the idea of a white Christmas all add to the appeal of a Christmas in Austria. The Christmas tree has been a Germanic tradition for at least the last 300 - 400 years, but many areas across Europe pagan traditions have held evergreens to be a symbol of life during the long winter months. This symbol was adopted by early Christians and the decorated trees have become symbol of eternal life. In 1841 Prince Albert, German husband of Britain s Queen Victoria, introduced the the custom of the Christmas tree to the British royal family. From there the idea the tradition of having Christmas Tree appears to have spread far and wide across the world. In 1850, a coloured etching of a decorated tree at Windsor Castle was published and the "Tannenbaum" became a necessity for every fashionable Victorian home. It was a tradition quickly embraced by Victorian England. Trees were set up for the Christmas season decorated with lighted candles, covered with tinsel, ribbon, paper chains, and sweets. Christmas in Austria in some ways takes you back to the Victorian traditional Christmas, wooden toys, with wooden letters, fun filled sledging, ice skating on a frozen lake, a snow ball fight on the garden, a log fire to warm yourself around, mulled wine. 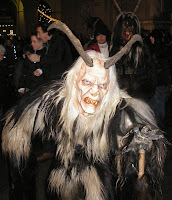 In certain areas of the Alps there is still the "Krampus" tradition a mix of pagan and the Christian Saint Nicholas, (Father Christmas, Santa Claus), bearing gifts for the children, with ornate Krampus costumes of ghoulish figures, with frightening masks, carrying ringing bells on on their belts, and with whips to "beat"the occasional passerby!! The "Krampus runs" take place in the first week of December but in particular on the 5th December. 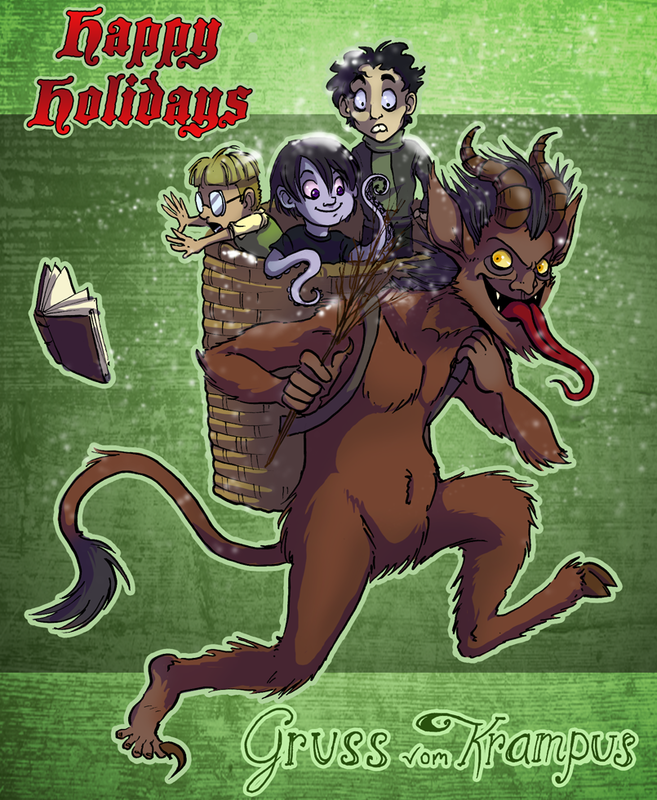 While St. Nicholas brings presents to those children who haven been good during the course of the year, it could be said that the Krampus figures frighten the ones who have been bad! They quite often arrive together in an open slay being pulled by horses, to a village square, with an open fire, thumping music and an expectant crowd. The two of them are a curious couple, good and evil traveling together! but Advent times wouldn't be complete without them in Austria, or Christmas trees, decorations and an Advent wreath either. In the Gastien area the celebrations rotate round different villages each year. "Run" times for Krampus will be publicised by the local tourist office, and a list of other events in Kaprun and Zell am See given can be found here. 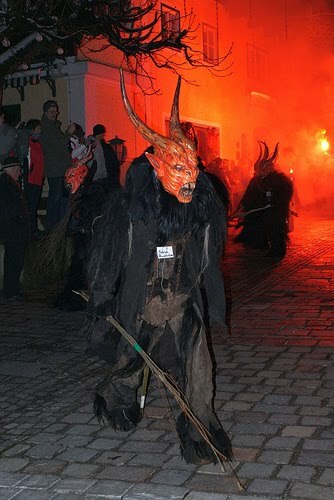 In some ways the tradition of Krampus has similarities with the Halloween celebrations else where in the world, they perhaps share the same Ghoulish, heathen origins. 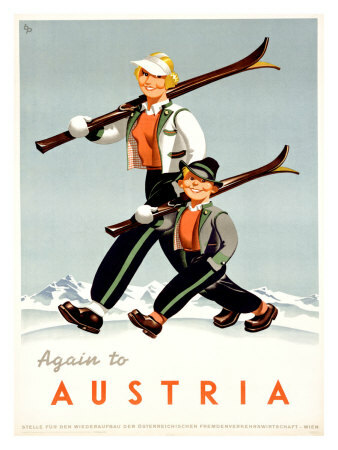 The idea of Austrian Christingle markets, Skiing or snow boarding over Christmas and into the New Year will also appeal to many. It is well worth thinking about, but if you wish to go, you will need to book early. If you are looking for somewhere to stay please consider staying at austria holiday apartment it can sleep from 3 to 9 persons in comfort.